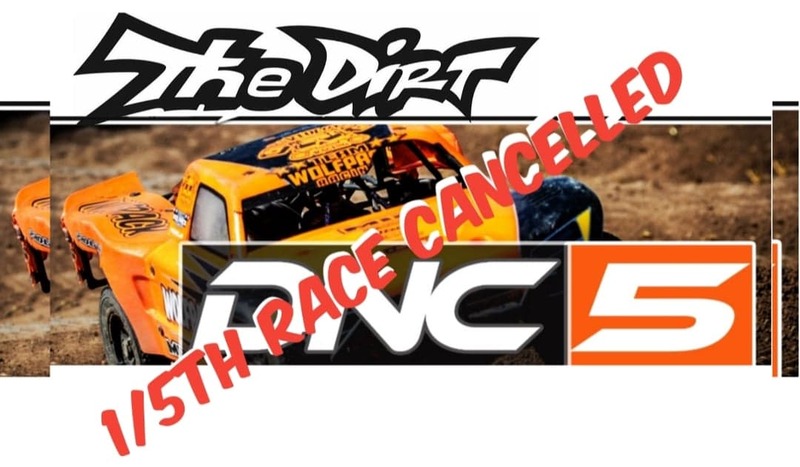 We are sad to announce that the DNC 5th scale race has been cancelled. With the DNC moving to a new venue for the 2019 event, we have had the challenge of trying to build a proper 1/5th scale track from scratch! We have to bring in dirt, build a drivers stand and basically start from the ground up as well as hire race director, buy event shirts, trophies, hotel rooms etc. As of a few days ago we have less than 20 entries. The cost of the track build/event is too high for the amount of entries expected. So, to avoid taking a loss on the event, we have decided to cancel and refund the entries that have been previously paid. It is a bummer for the Dirt team as well, as we have been big supporters of the 1/5th scale segment of the yearly DNC. We have been able to hold the DNC 5th scale event over the past 7 years and have loved it!! We hope we have helped bring exposure to 1/5th scale racing by including it in the DNC as well as bringing worldwide coverage on www.liverc.com of the growing and exciting sport!! We will be issuing refunds over the next week for those who have already entered. We will be working on building a new drivers stand over this next year so we can bring it back to the DNC in 2020!!! !